Recognized by the publication, The Best Lawyers in America®, since 1995 as one of the top attorneys in the country, Robert R. Sheldon is an acknowledged expert in personal injury law and workers' compensation law. He serves on the State of Connecticut Workers' Compensation Legal Advisory Board. He has successfully argued cases before the Connecticut Appellate Court and the Connecticut Supreme Court and assisted in the enactment of legislation that has expanded the rights of injured workers in the state. Mr. Sheldon received his Bachelor of Arts degree from the College of the Holy Cross and his Doctor of Jurisprudence from the University of Connecticut School of Law. He has practiced law since 1974 with this firm, specializing in personal injury law, legal malpractice, and workers' compensation law. He is also one of the rare attorneys in the area willing to take on cases against other attorneys. Mr. Sheldon has steadfastly held attorneys to the highest standard of care in dealing with their clients, successfully suing lawyers who violate their oath. By overcoming significant legal barriers, Mr. Sheldon has collected millions of dollars for victims of legal malpractice, personal injury, and workplace accidents. 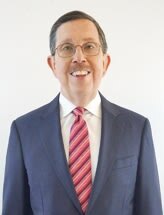 Mr. Sheldon has served as President of the Connecticut Trial Lawyers Association and been a member of its Board of Governors since 1987. He frequently contributes to its continuing legal education programs. The American Board of Trial Advocates has also selected Mr. Sheldon for membership, which is limited to top trial lawyers in the country who are vigorously engaged in civil litigation. He is a member of the American Association for Justice, the Connecticut Bar Association, and the Greater Bridgeport Bar Association. He has continually served at the request of judges as a Trial Referee in state courts and as a Special Master in Federal Court. The governor acknowledged the respect with which he is held in the legal community by appointing him to the State Judicial Review Council, a body that evaluates complaints against Connecticut judges and workers' compensation commissioners. He has been recognized by Connecticut Super Lawyers® in the field of plaintiffs' personal injury and workers' compensation and is AV Rated by Martindale-Hubbell (the highest possible rating for a lawyer). "At Tremont Sheldon Robinson Mahoney we fight hard for our clients because we truly care about them."